Prophecy in the News just posted yesterday, a 30-minute interview that Kevin Clarkson and I did about 10 days ago. It will be featured beginning this weekend across the U.S. of A on various DishTV and DirecTV channels as well as many regional terrestrial broadcasts. 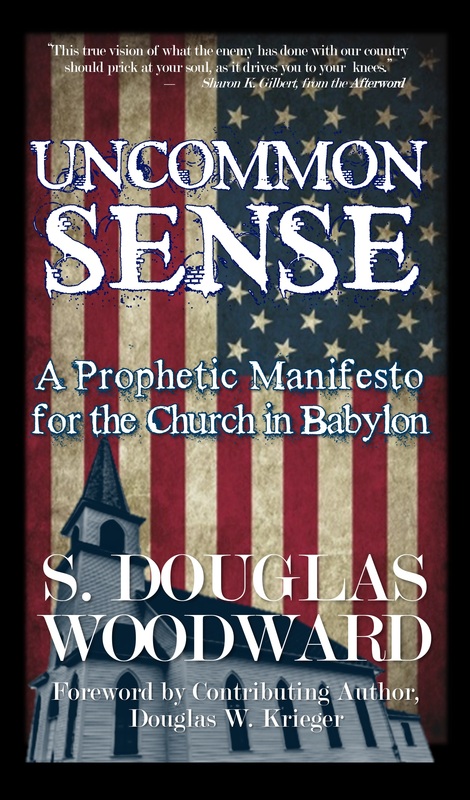 It features my most recent book, UNCOMMON SENSE: A PROPHETIC MANIFESTO FOR THE CHURCH IN BABYLON. The tone of the interview is HECTIC. There was much to talk about and many of the subjects are certainly uncomfortable for Americans who love their country but recognize we fail to follow the ideals of the founding fathers and we cease, as a nation, to see ourselves accountable to the LORD God of the Bible. Cicero talked about “God and Country and all those things we hold dear.” The mistake of evangelicals in America has been a willingness to identify the two, supposing that the God of the Bible sees America as “the last and best hope for freedom” and the number one advocate of “American Exceptionalism.” As a nation we have drifted far from that blessed position. If we are exceptional today, it is for all the wrong reasons. A manifesto is a statement of public policy, but it connotes a political agenda–what should we be doing now? The book provides an assessment of “where are we now?” “How did we get here?” “And what difference does it make?” The manifesto for Bible believing Christians begins with realizing just how far America has grown independent of God and no longer willing to honor His word. As I say on the program, this process has been a slow leak, not a blowout. For the past 120 years, America has groomed itself to be The Final Babylon of the last days. Alternative perspectives for changing America are generally driven by a search for utopia, such as the movie ZEITGEIST and its sequels. No utopia is possible without the coming of Jesus Christ to set up HIS kingdom on earth. The program moves very quickly. I remember while doing it the time flew by. It was difficult to say all the things I would have liked to have communicated. Hopefully, the telecast will whet the appetite of all who sense something vital is wrong with America and it stems from a failure to follow the admonitions of scripture. Additionally, at stake is the possible judgment against the Daughter of Babylon, aka Mystery Babylon, discussed in Isaiah 13, Jeremiah 50-51, Revelation 16-18. The question for our day is, “Is America About to be Judged for becoming ‘a cup full of fornications after we once were a golden cup in the Hand of the Lord? '” (Jeremiah 51:7). The books referenced the program can be found at Amazon. Click the picture below to take you to the Kindle bookstore. The books are available in printed format for those of us who like to hold paper in your hands. But they are electronically available on Kindle, iBooks, Nook, and Lulu.